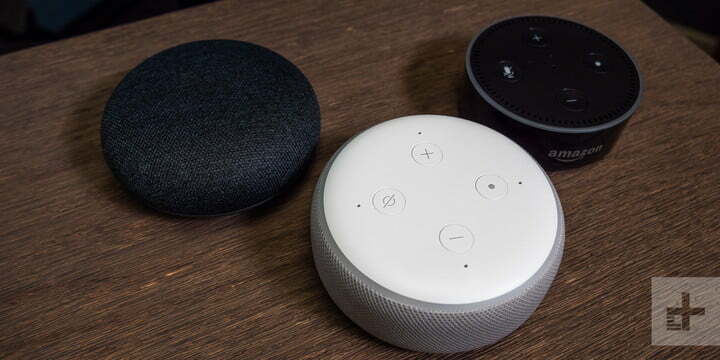 Two years ago at CES, Amazon’s Alexa voice assistant was everywhere. But last year, Google Assistant was the belle of the ball, with a huge tent in the parking lot at the Las Vegas Convention Center and giant gumball machines filled with Google and Nest prizes for giveaway. It was a bit of a frenzy. This year, Amazon is ramping up its presence at the event and is planning several announcements involving its Amazon Key entry service. Not to be outdone, Google is reportedly going to triple — yes, we said triple — its huge presence over last year and has some announcements of its own planned. While we don’t expect to see much in the way of hardware from either tech giant (other than perhaps Ring security, which is owned by Amazon), we do expect several companies to announce voice assistant integration on a number of levels, whether it be TVs, toilets, or toys. Yes, we said toilets. Because who doesn’t want to get their morning news briefing while finishing their morning business? Still have a video camera recording activity at your front door? This year, it’s all about ding-dongs — from a video doorbell, that is. Taking cues from Ring security‘s lineup of video doorbells, as well as Nest’s Hello doorbell, several companies are planning to introduce devices of their own. Ranging in cost, style, and connectivity, the number of devices consumers will have to choose from next year might eventually mean that no porch pirate will go unrecorded unless she’s a video-avoiding ninja. 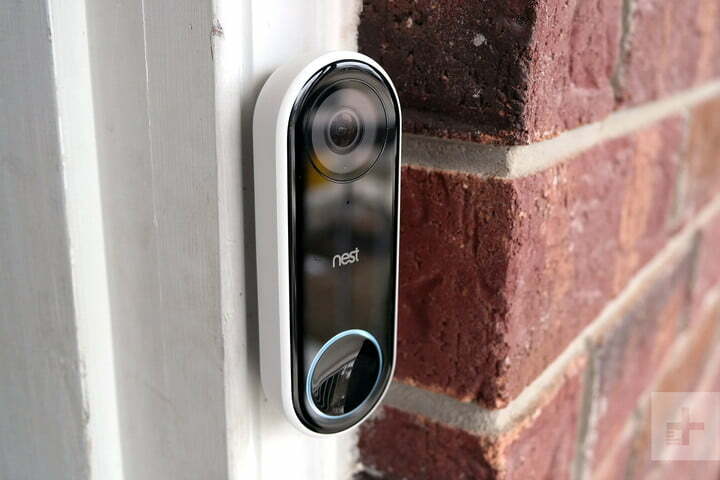 Beyond doorbells, we expect to see the home security field continue to grow, with several companies offering newer, sleeker high-resolution video cameras (we were just kidding when we said video cameras were out of style), home security systems with things like drone security guards, and home-monitoring devices with all kinds of artificial intelligence features. Expect some even smarter smart locks to be introduced, too. Beyond that, we also expect to see air quality and water leak monitoring systems, as well whole-home security and control systems. Last year at CES, we saw lots of new appliances, but the biggest innovations in the industry came in the form of either embedded computer screens or partnerships with cooking app companies. 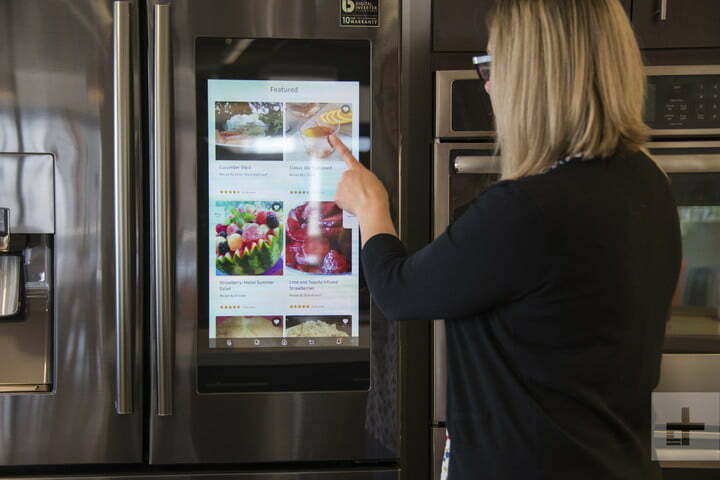 Whether it’s LG’s InstaView fridge with a see-through glass door, computer screen, and built-in Amazon Alexa speaker in one, or GE Appliances Kitchen Hub, which has a screen and vent above the stove, computers are (slowly) making their way directly onto appliances. We also saw several cooking app companies partner with major appliance makers to serve as sous chefs last year. Plan to see more of each trend at CES 2019 this year. While it’s true that many major appliance makers are creating new machines with cool things like auto detergent dispense, they are also adding more smarts to the devices through apps to provide a sous chef in the kitchen or a helper in the laundry room. Companies like Yummly, SideChef, and Innit have partnered with companies like Whirlpool and LG to provide users with things like recipes that use ingredients found in the fridge — no shopping necessary. 4. ROBOTS ARE COMING TO HELP YOU IN THE HOME. SORT OF. Before we get into robots in the home, maybe we should talk about the definition of a robot. Maybe the word conjures images of C3PO or the Boston Dynamics robot-dog dancing to Uptown Funk. But robots are actually defined as “a machine capable of carrying out a complex series of actions automatically, especially one programmable by a computer,” meaning that Amazon Alexa or Google Home devices are robots. That makes the definition much, much looser. At CES 2019, we’ll see lots of robots in many shapes and forms, designed to make life in the home much easier. Suvie (pictured above) is one such device dubbed a “robot” by its makers. 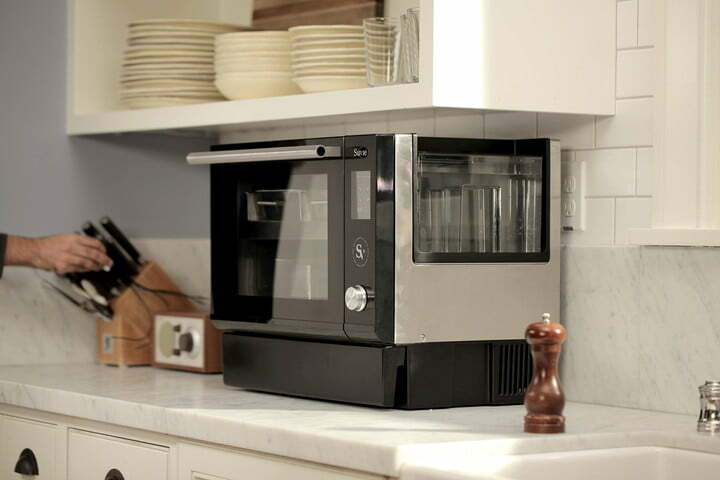 It’s essentially a smart oven that cooks a full three-course meal to perfection. It’ll be at CES along with several other smart countertop ovens invading space in your kitchen. We’ll also see other robots, like robot vacuums. But before you lose hope on a robot that can do all your dishes, LG and Samsung will be showcasing their robots in the traditional form as we know them — with faces and wheels and the ability to talk. We’re still waiting for that home butler robot that can talk, navigate stairs, and pile laundry into the washing machine for us. Come on, what’s taking so long? When we think of technology, we probably don’t think about babies or beauty. That’s changing. At CES this year, we’re expecting to see a lot of baby tech, much of it in the form of things like baby monitors or wearables that help with things like tracking breathing during sleep. In fact, there will be a section of the show devoted to baby tech filled with monitors, breast pumps, fertility trackers, food intake monitoring devices, and more. We expect the field of baby tech to grow in the next few years. As for beauty, there’s lot of interesting things happening this year. Both L’Oreal and Olay will have a presence at the show to introduce skincare technology that helps with wrinkles, sunspots, and more. That’s not to mention the growing smart vanity mirror market, which can tell you about the health of your skin, show you what makeup would look like on you before you put it on, or just have Amazon Alexa give you some affirmations in the mirror.